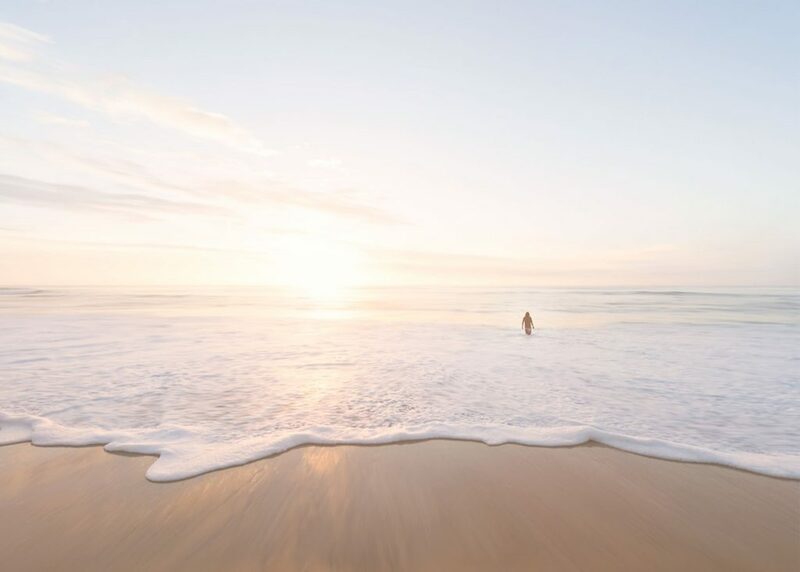 TAKING A VACATION MEANS REMOVING YOURSELF FROM ANY NEGATIVE THOUGHTS, unplugging from reality, recuperating, relaxing, and recharging your batteries. It’s a time for you to reflect on the importance of self-love, taking that the time to remove any stress, and to find a new perspective on the way life should be lived. If you’re like me, then music or a book, is your go-to for the ultimate relaxation, but it can’t just be any book or any kind of playlist. The music has to consist of positive songs and relaxing beats. The same goes for a book to read on vacation. When you are trying to relax and recharge, you’re not going to read a suspenseful murder plot, right? No. This is a time to look for motivation, inspiration, advice, insight, and to change your outlook on life. 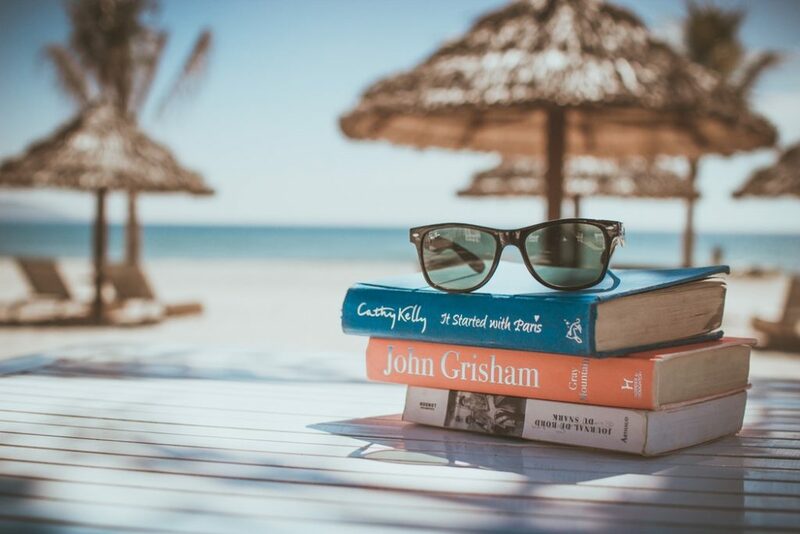 That’s why self-help books are the ultimate go-to for a vacationing book because they have all those characteristics that you desire while on vacation. I know when you think of self-help, you instantly think of overcoming physical/mental/sexual abuse, alcohol/drug addiction, illnesses, etc., but not all self-help books pertain to that. They are about overcoming any life situation, maintaining a positive outlook in life, and becoming an all around better person. 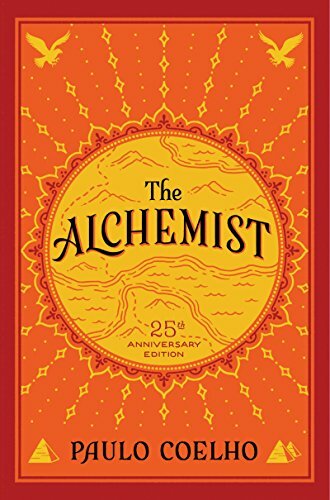 Because I am so passionate about the impact of self-help books, I have conducted for you the 5 BEST self-help books to give you that inspiration and motivation your looking for, while on vacation. Full of grace and simple truth, this book is a gift to anyone that is making an elementary change in life. This guide to self-determination is a true message. It brings you on the path to metamorphosis, path to enlightenment, and to find your truest inner-self. Trust indefinitely and love infinitely. This inspiring tale of self-discovery, is filled with wisdom and wonder. It’s a journey that teaches us the essentials of listening to our hearts, recognizing opportunity, and following our dreams. 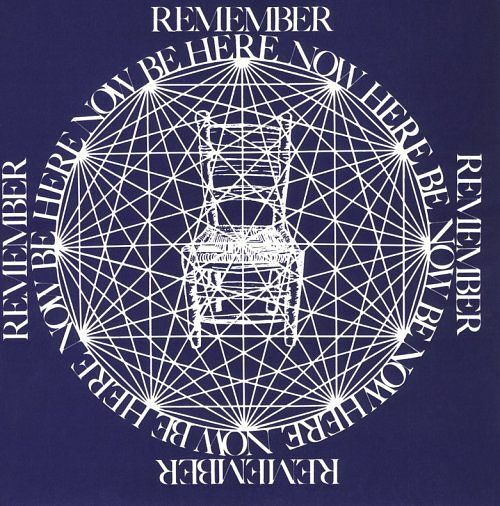 This guide to living a fuller life, is a deeply insightful meditation. 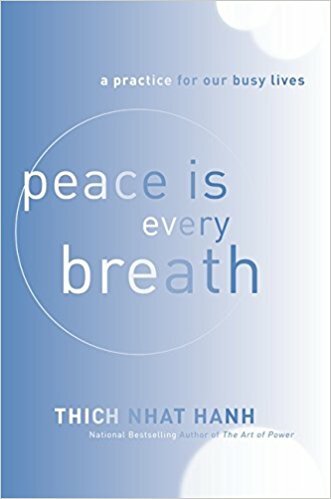 It teaches us how to practice mindfulness into our every waking moment. 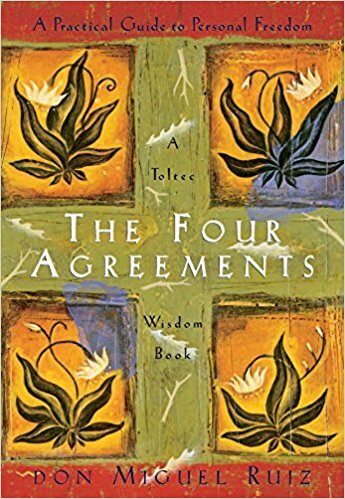 It opens a pathway to a greater spiritual fulfillment through its patient examination of how we live our lives. Embrace your curiosity and let go of needless suffering. In this book, she shows us how to take on what we love most and to face down what we fear most. We are encouraged to uncover the “strange jewels” that are hidden in each of us. 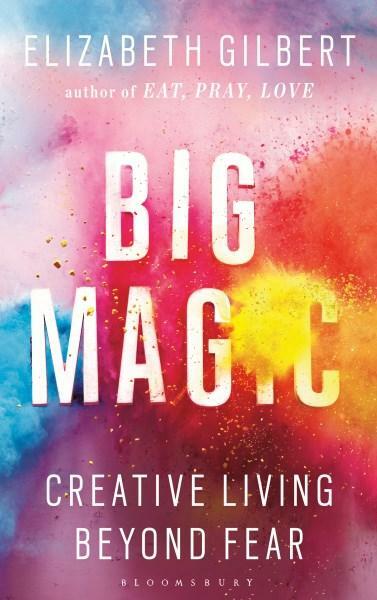 Whether we are; looking to write a book, make art, find new ways to address challenges in our work, embark on a dream long deferred, or simply infuse our everyday lives with more mindfulness and passion, Big Magic gives opens a world of wonder and joy. Taking the time to read books like this on vacation, will help your mentality tremendously. You will feel new and be ready to take on your everyday life with a more open minded, confident, and empowering mindset! There are numerous types of people who sit next to you on planes: the one who calmly flips through a magazine with their headphones in, the other who is a nervous wreck who can’t stop fidgeting and gasps anytime the seatbelt light comes on, and lastly the man spreading slob who takes over your entire area. 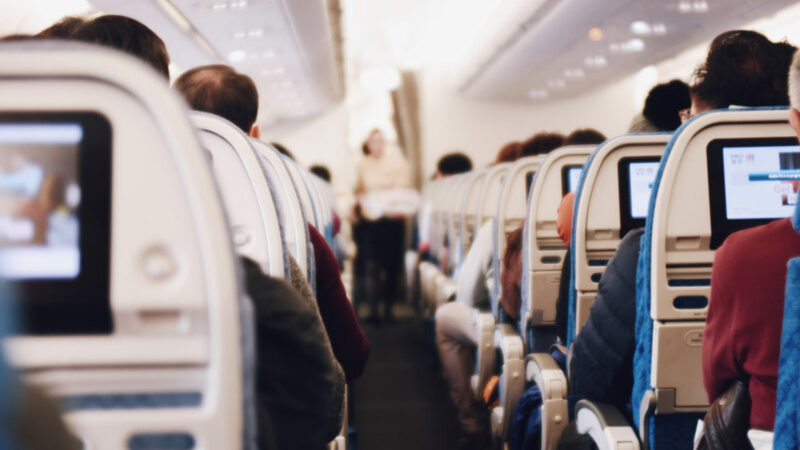 Whatever the case may be, being courteous and utilizing airplane manors, will make your inflight experience (as well as theirs,) much more enjoyable. 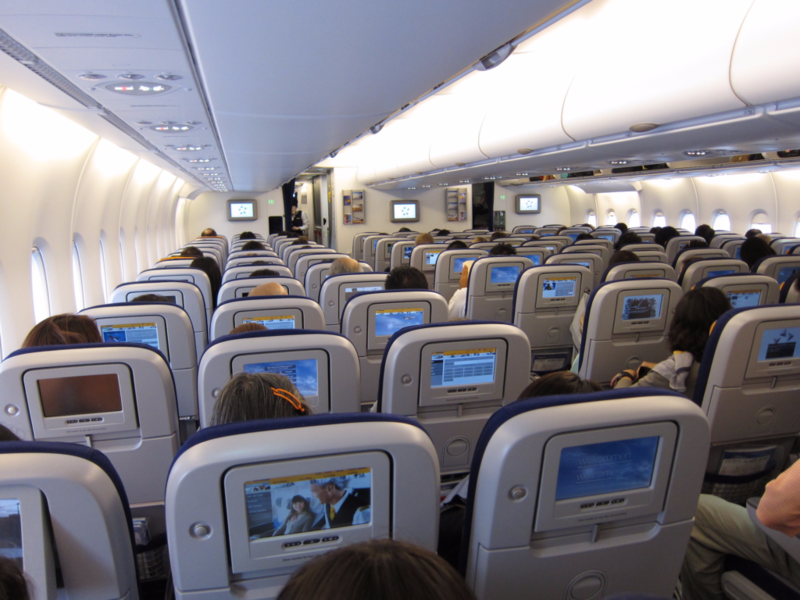 Here are five rules of airplane etiquette to follow to ensure a stress-free and more-comfortable flight. If you see someone looks lost, stop and help them with directions or if someone is struggling to place their overhead bag in the bin, just give it a push. It doesn’t take much to be a kind person and help someone out. You should always strive for good karma for your future. It is not enjoyable to be cramped up in a tiny seat for X amount of time with very minimal space. So, it is always nice when you respect your space and the person next to you respects there’s. Evenly share the arm rests with your neighbor and don’t lean your chair all the way back if the person behind you will be utilizing there tray table. It’s about understanding each other feelings and being respectful. A lot of people try to sleep on their flights just to get that little bit of rest because traveling is tedious or they utilize this time to read a book, listen to music, or watch their television show. So, just be courteous of the people surrounding you and keep your voice at a low volume. If the person next you is clearly in their own zone; give them their space. Don’t break their concentration by initiating conversation. Silence is golden. If you know you are going to be napping on the plane, be prepared and pack a neck pillow. They are great for upright sleeping, so that you are not, little by little, slumping over onto your neighbors shoulders. They are already super uncomfortable in their tight space, they don’t need a stranger resting on their shoulder. A tight airplane space, is not the place to bring some chili to eat or a fast food hamburger. Everyone from the first row to the back row, will be able to smell your meal and it will be nauseating. Be mindful of the type of food you carry on; preferable bland food or snacks that do not have an odor to it. Follow these 5 major airplane etiquette rules and your fellow passengers will thank you in the long run! 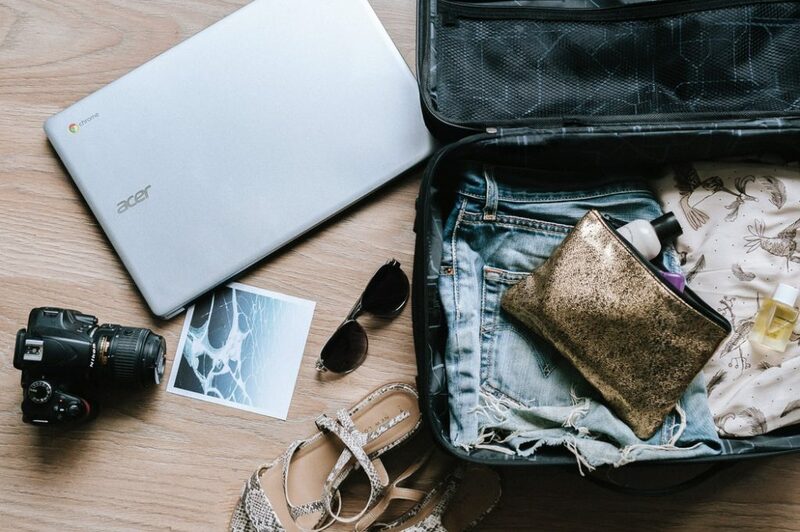 TRAVELING DOESN’T HAVE TO BE STRESSFUL once you figure out the science behind smart and efficient packing. Working in the travel industry; we eat, breathe, and live travel hacks. 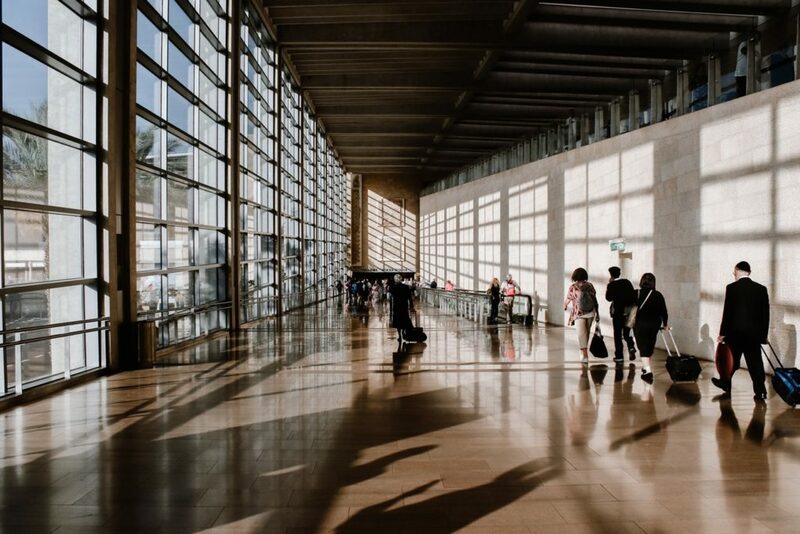 So, with our help, you will get through the stress of packing, getting organized, passing through TSA with no problems, and not having to pay for an overweight charge. Always remember, the number one trick to packing is only take the essentials! This blog will specifically go over the most efficient and safe way to pack your toiletries. shampoo, conditioner, body wash/bar of soap, body lotion, face lotion, perfume/cologne, hair products, deodorant, toothbrush, tooth paste, and sunscreen. And when we say, only take the essentials, we don’t mean bring your family size products, only small amounts to last you the X amount of days that you are away. So, lets begin the step by step tutorial on being efficient when packing your toiletries. 1.) Invest in condiment containers! You can buy them at the dollar store, Walmart, or any grocery store. 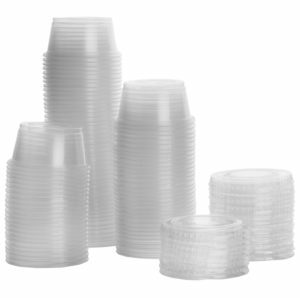 They are 2 oz cups with lids and they come with 25-50 of them, instead of investing in travel size bottles that only come with 3 or 4 bottles. Take as many cups as you need because the one thing about liquids at TSA is, you can bring on as many liquids as you want as long as they are 3.4 ounces or less. 2.) Fill them up with your products, and make sure to label all the lids, so that you know which product is which. 3.) For safe traveling and no spillage, I use plastic wrap to wrap around the containers. I put one piece around the top with no lid, put the lid on, and wrap a second piece around the whole container and lid, so there is no mess when you go to unpack your products. Do the same for medicine bottles. I once had a prescription bottle pop open in my bag and I lost most of my meds. It was an issue for me. So, to be safe, plastic wrap all your meds as well! (BONUS TIP FOR THE LADIES!) Traveling with makeup… Even though I am not the best person to explain how to do this because the only make up I wear is mascara… and even that is a mess… I recommend doing the same thing. It just makes sense to keep all your personal items safe. 4.) ZIPLOC BAGS! To be organized and for more safe traveling, put all the plastic wrapped, safe containers into ziploc bags. If you end up with 3 ziploc bags, that’s okay! Like I keep saying, it is better to be safe than sorry! 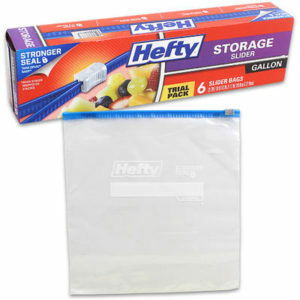 I usually use the hefty storage bags. Once again you can get ziploc bags at any dollar store, Walmart, or grocery store. (TIP!) Items to keep separate from the liquids are tweezers, nail clippers, nail file, mini scissors, hair scrunchies or clips, and organized jewelry. Whatever items that aren’t liquid, can go into a different bag. The same goes for makeup wipes or wet wipes. You don’t need to pack the entire package, just take a few and seal them into a ziploc bag or folded into one of the condiment container. As long as they are sealed tight, they will stay moist and can be used. 5.) 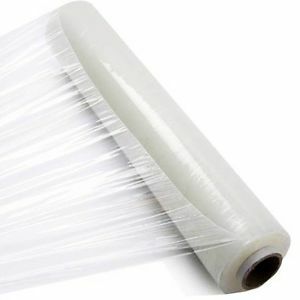 Pack all the ziploc bags into your toiletry bag to keep them separated from your clothing items, so you don’t end up with a major shampoo explosion. So, instead of worrying about if your clothes are covered in shampoo or having to take the time to clean everything from that shampoo explosion, you will be able to spend more time enjoying your vacation! I personally did this for a 5-day trip to Mexico and it was unbelievable how lightweight my toiletry bag was. Everything was organized and kept together when I unpacked my items. It was relief to know that there was no spill for me to clean up right when I got to the hotel. I will definitely be using this packing hack again! – Kellie Abate, Copywriter at Luxevo Vacations and LXVN. “I LOVE PACKING”, said NO. ONE. EVER. Let’s be honest, no one likes to pack. Am I right? Packing is tedious, annoying, and stressful. There is no happy-medium to it. You either over pack or under pack and if you under pack, then you start your vacation out stressed out and frustrated. Here at Luxevo Vacations, we understand this. That’s why we’ve created the Ultimate Packing List for Him and Her! 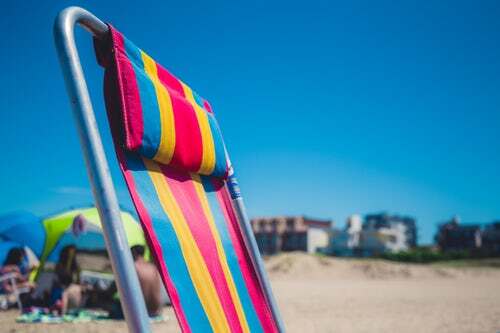 You can save your praises until you’re sitting on a lounge chair on the beach with a nice, cold drink your hand, completely at peace because, for once, you packed everything you were supposed to. COMFY travel clothes for the airport! Travel-sized first-aid kit including Band-Aids and aspirin, Antacid, Pepto-Bismol, Midol, etc. I KNOW WE CAN ALL AGREE that traveling can be a stressful time. The thoughts running through your head, “did I pack enough,” “am I missing anything,” “will that get through security?” and the thoughts go on and on. ALWAYS check before hand, if your flight is delayed or canceled. Nothing is worse than rushing to airport, feeling frazzled and stressed out, just to find out that your flight was delayed or canceled. Sign up for alerts to your phone, texts or emails, about your flight information, so that you are up to date at all times. There is no reason to dress in your best suit or a pair of high heels. Everything is fast paced walking, taking off your shoes, belts, jackets, and whatever else, to get through TSA, a lot of sitting or standing; so a comfy pair of pants, flat shoes, and a sweater jacket to stay warm is ideal for the airport. Keep your ID and boarding pass close to you. Keep all your flight essentials in one place. Have a separate small bag for all your flight needs; like earbuds, snacks, phone charger, book/magazine, small hand sanitizer (because, let’s be real, germs are gross) and medications (if needed). Don’t put it in your carry on, stowed in the overhead bin, and be that person that is constantly getting up to unload their bag and sort through their stuff finding the items. Respect the people around you and be mindful about organization. If you’re like me, you love to snack and are always thirsty, but airport water and snacks are always more than $5.00 for the smallest one. So, a trick for the water situation, bring an EMPTY reusable water bottle. It will pass through security with no problems, and you can get water from the fountain for free! For snacks, pack some easy, finger foods in clear zip lock bags to take on your carry on. Once again if they are small, easy to eat, solid foods, they will get through security with no problems. It saves you a ton of money and is probably the healthier option as well! Sometimes all the outlets are taken up or your airport isn’t stocked with those modern phone charging towers, so it is best to invest in a portable charger. Traveling with a dead phone is not fun and leaves you in a state of panic and stress. Do not start your vacation on that kind of note. Be careful wearing headphones at the airport! If you do choose to wear your headphones, then you should always keep one ear free, so that you can hear your flight info; gates could change, times can change, flight canceled, etc. So, don’t miss your flight because you weren’t listening to the gate announcements. If you suspect that your suitcase might be overweight because you are traveling somewhere colder or if you are traveling with some souvenirs, then wear your heaviest items. If you are traveling with a jacket, wear the jacket. If you are traveling with boots, wear the boots. It’s easier to just wear the extra items beforehand, then to tear apart your luggage because it was called out for being overweight and have to pay the extra fee. 3.4 ounces means 3.4 ounces. Don’t try to sneak your family size shampoo on your carry on because you thought you could convince security it was okay or the extra-large sunscreen you just paid for because you didn’t know. Be cautious of what you are packing. 3.4 ounces or 100 ML is 3.4 ounces, or 100 ML. Security doesn’t care if you just bought it or have 10 kids to bathe on your vacation. They will make you throw it out. So, invest in some travel sized bottles or products, or just wait until you are at your destination to buy them. If you are lost or lost an item, confused, have questions, whatever it may be, DO NOT be afraid to ask the flight attendants or security for help. That is what they are there for, to help you when you need it! They will have the answers and if they don’t, they will direct you to the person that does have the answers. It will take any stress away because someone gave you a solution to your problem. No question is a dumb question. Following these hacks will make your travel experiences way easier! You will be thankful that you read this article and took notes, because starting off your vacation with a head full of stress, is not the best feeling. Keep it simple, keep it easy, and you won’t have any problems! Well that’s okay! Because with these tricks, you will be able to save money in no time to go on that dream vacation of yours! 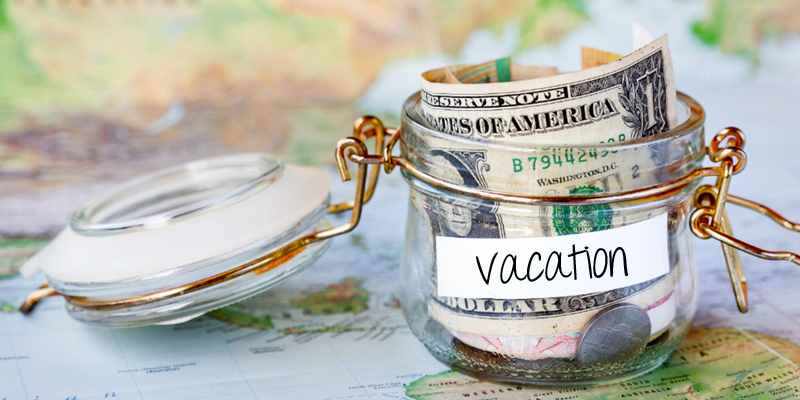 Open a savings account for a vacation fund. Every paycheck you get, take a little money out of there; $20, $50, $100, however much you can afford and transfer it into the savings and DO NOT TOUCH. Let that money build up overtime. You will be surprised how much is in there after a few months! If you get paid bi-weekly, and take $100 out of those 2 paychecks, that is $200 a month saved, over 12 months that is $2,400 saved in a year! Cut out materialistic items for the time being. Cancel your gym membership, stop buying a coffee every morning, or getting new clothing items for a special occasion. Over time those; $5, $10, $15, $20 items, build up over time. If you buy a $5.00 Starbucks coffee, every Monday to Friday for a whole month. That’s $5.00 x 5 days a week = 25 x 4 weeks = $100! That’s a $100 a month wasted on coffee, that’s $1,200 you can save in one year! So, cut out those materialistic items and save, save, save! Learn to become a homebody for the time period. A homebody is someone that enjoys spending time at home. By staying home, you are saving money because you are not spending your money! Only spend money on the necessary essentials. If you have rent due, your car payments due, you are out of toilet paper, or you don’t have any food to cook for dinner, then those are necessary items to spend money on. BUT, if you have a craving to bake cookies or saw a cute pair of pants on the clothing rack, REFRAIN for the time being! I know it is hard to not impulse shop but refraining from buying unnecessary items will also save you money. Get a side job. If you are having a hard time saving money, you can also get a part time job to gain more money. If you have a four-door car, you can get a job as an Uber or Lyft driver after work hours. If you are great with kids, you can babysit at night to give a nice family a break. If you love dogs, become a dog walker. There are so many options for a part time job, just to build up your bank account a little more. These 5 tricks are not impossible. Nothing is impossible! If you are motivated and dedicated to taking one great, luxurious vacation, by following these tricks, you’ll save money for it in no time! WHEN WE GO ON VACATION after a hectic few weeks or months of non-stop working, busy schedule, and full on “adulting”; we have a tendency of not being able to fully unwind. We are filled with so many nerves, so much stress, and can’t seem to turn off our brains from all the hardships of reality. When the vacation begins, it doesn’t even feel like a vacation. This is such a travesty because people only take vacations, like, once a year or none at all! At Luxēvo Vacations, we eat, breath, sleep, VACATIONS. We want our clients, our friends and family, our guests, to have the best vacationing experience, EVER. So, to really make this vacation feel like a vacation, here’s a list of our personal tips to take advantage of a fully RELAXED vacation. Everyone can agree that without our phones, we would feel totally lost. But, being on vacation is the time to disconnect. It is your time to focus on yourself, your mind, your body, your physical and mental health, and to just destress yourself. So, once you land at location and are ready to begin your vacation; don’t constantly check your emails, text messages, or social media. Instead, turn off your notifications, delete your social medias, delete your email app; do whatever you need to do to just disconnect from reality back home and focus on yourself, your surroundings, and follow your bliss. 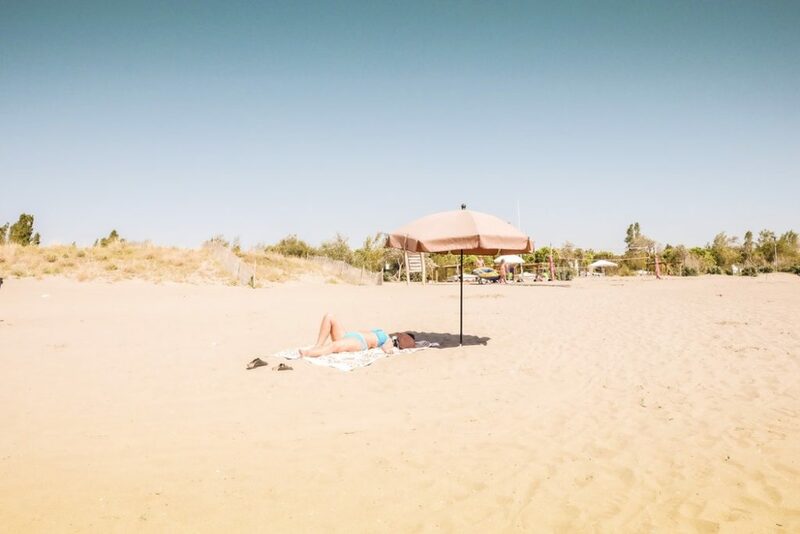 When you begin your vacation, you might just feel so exhausted and lethargic because of all the stress, added work, and busy schedule, so you might just need to spend the first days, resting. It is okay to sleep in, take naps, or go to sleep early. When you catch up on sleep, you improve your physical and mental state. By beginning vacation with some sleep, you will be more productive on your trip. Vacation is for restoration. You spend all this time working, so hard, to make all this money and have nothing to do with it but pay bills. Don’t make money a stress factor. Take advantage of this once-a-year vacation. If you want to eat at the most expensive restaurant, DO IT. If you want to buy one more drink, DO IT. If you want to spend money on a different activity every day, DO IT. Take this time to live in luxury and lavish yourself. Don’t add stress to the trip by questioning a budget. Break the bank and enjoy yourself! Taking vacation, also, gives you time to do activities that you love or to try new things. In-between resting periods, doing activities; like, yoga, swimming, exploring, dancing, etc., raises your positive endorphins. Endorphins release feelings of pleasure, motivation, euphoria, and pain relief. Do what you can to make yourself feel good on vacation. Definitely wear sunscreen, but the sun is good for you. The “sunshine vitamin” keeps your bones healthy because your body absorbs vitamin D and calcium. 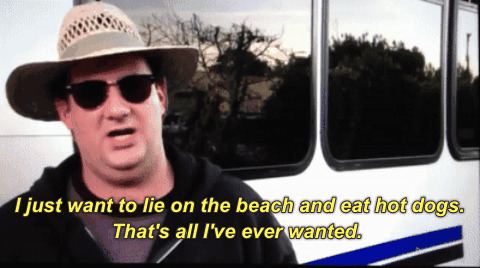 Also, it totally feels good to lay out on a beach, take a nap, enjoy a drink, feel the water, and just relax. 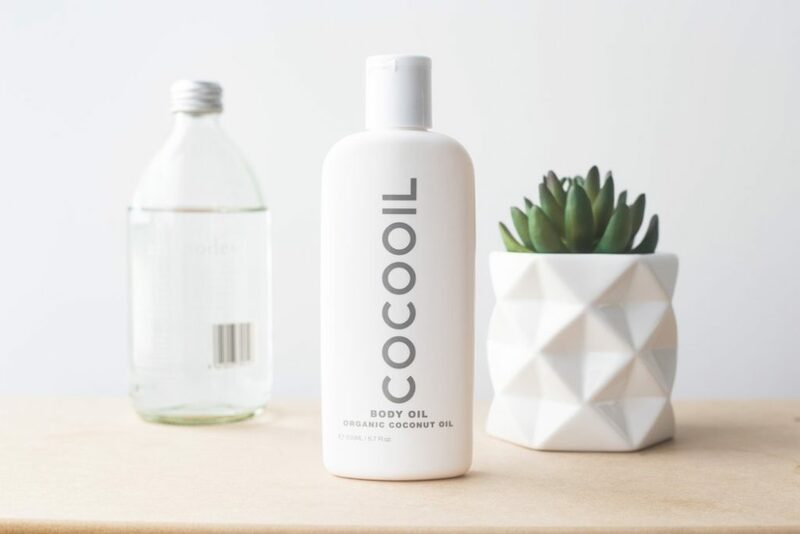 Let your skin get a nice crispy, golden tan. It’s good for you and shows how much you really took advantage of this relaxing vacation.